Mozilla Firefox has some cool developer tools (Style Editor, Scratchpad, Debugger, Responsive Design View, Inspect(3D view) and more) by default, but you can further extend them with some of the great add-ons/extensions listed here. 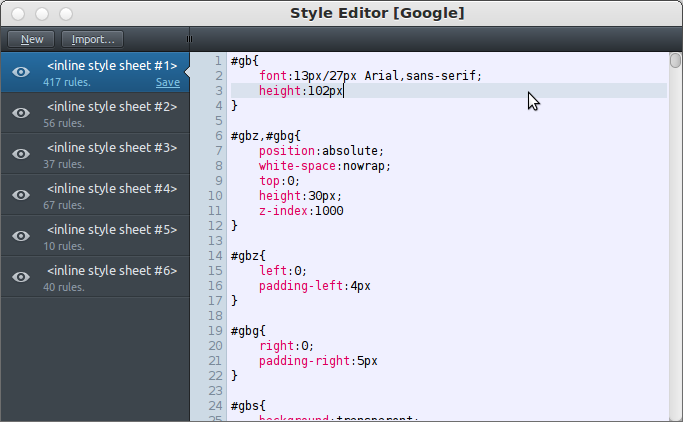 Firebug has lot of useful features (edit, debug, monitor your code in live mode) that makes web development much easier. It’s a must have add-on for web developers. it provides a bunch of color tools for web development – easy to use color picker, color library, inspector, analyzer(to analyze the color scheme of a website)etc. It tells you about the softwares(libraries, frameworks, server etc) used by a website. It shows the IP address of the website, in status bar; additionally, you can also query whois, hostname, netcraft etc. add some cool web development tools. 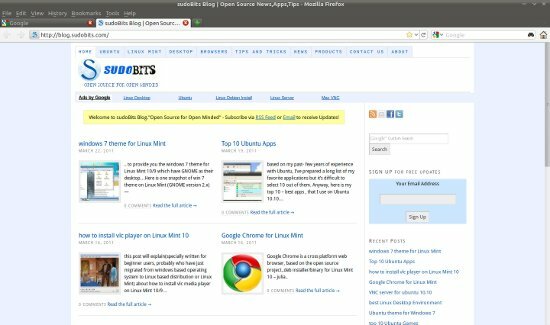 Using this extension, you can easily switch the user agent of the browser. To modify the http request headers sent to servers. It’s a cross-platform FTP/SFTP client for Mozilla Firefox. 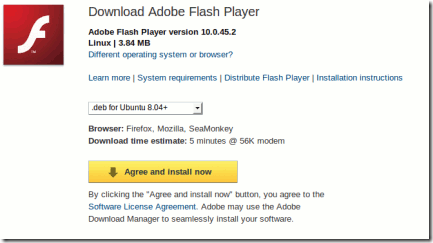 Mozilla Firefox (One of the most popular open source web browser) has just (yesterday!) released its next stable version – Firefox 5 with some new features and improvements. The version 5.0 is available for Linux, Mac , Windows and Android operating system. Now, Firefox has very high release frequency, probably due to the fact that – they want to deliver all the innovative features quickly to the users, new version has arrived with a of performance tweaks and enhancements. 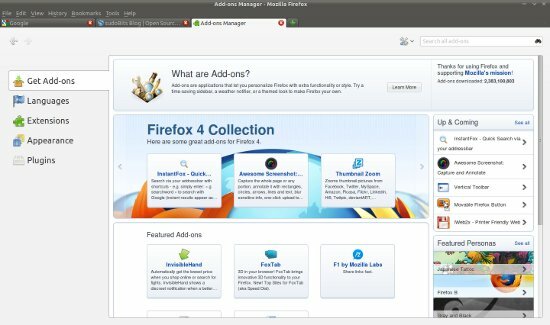 If you are using Ubuntu 11.04 (Natty Narwhal), you got version 4.0 installed by default; now it’s time to either update it or install a fresh version of Firefox 5, on the other hand if you are using older version of Ubuntu (The most appropriate reason would be the ‘critical bugs of Ubuntu 11.04’) such as Ubuntu 10.10 (Maverick Meerkat) or Ubuntu 10.04 (Lucid Lynx) then also the procedure would be same. The major feature which is included in this release is “Do Not Track on Multiple platform feature” which provides more control to users about how their data or behavior is used or tacked on the web. 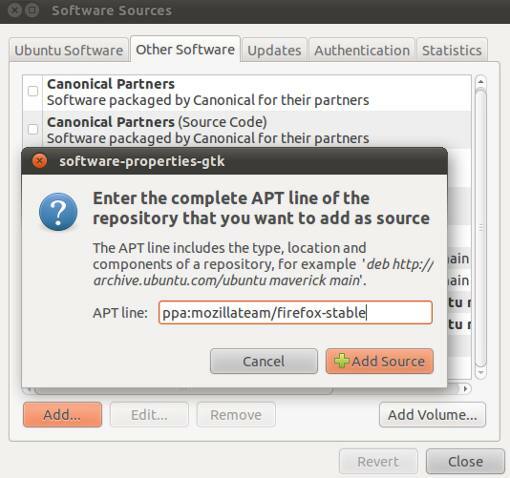 If you have installed Firefox from PPA or Synaptic Package Manager, then it will be updated along with the system update. Move to System -> Administration -> Update Manager and click on Check to update the cache (About the current Packages). 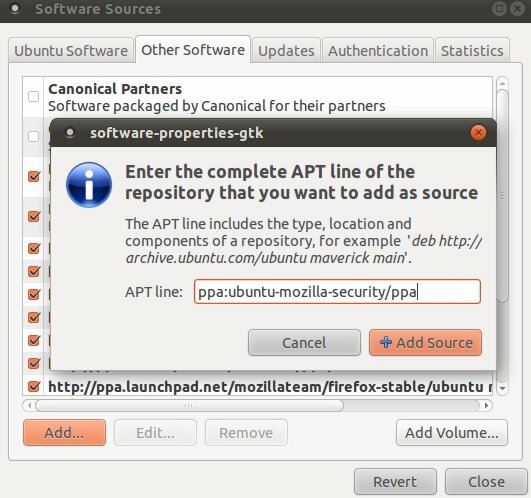 If you are using the Firefox version installed by default (it’s most likely the case if you are using Ubuntu 11.04, but within few days it must be available under official repository of Ubuntu 11.04) then the latest version may not show up in the update manager, then first add this PPA (Personal Package Archive) address to Synaptic Package Manager ->Settings -> Repositories. Now, search for Firefox 5 for in Synaptic Package Manager, right click and select Upgrade option. it will hardly take a couple of minutes. Run the following commands ( then update your browser using Update Manage Manager if you don’t want to update other packages, in this case execute only first 2 commands at terminal). Download the Firefox tar.bz2 file from its official website, and execute -run-mozilla.sh file, after extraction (tar -xf mozilla-5.tar.bz2).